Are you in the midst of planning your vacation for 2018 and haven’t yet decided on a destination? If that’s the case then you’re going to want to take a close look at the Caribbean and all it has to offer in 2018. Not only can you choose from a variety of islands, each with their own culture, personality, and flair, but you’ll also be treated to some of the most stunning and tranquil scenery you can find in the world. Still not convinced the Caribbean is for you? Well here’s a look at five great reasons to visit in 2018. If a beach vacation is your definition of the perfect getaway, then the Caribbean is an absolute must-visit. You can literally pick any island and you’ll find that it has its own collection of beautiful beaches. From busy tourist spots, to quiet secluded beaches, there’s a bit of everything here. Travel & Leisure has gone so far as to name the 50 best Caribbean beaches which include such spots as Little Bay Beach in Anguilla, Honeymoon Beach in St. John, La Sagesse in Grenada, and Dos Playa in Aruba. 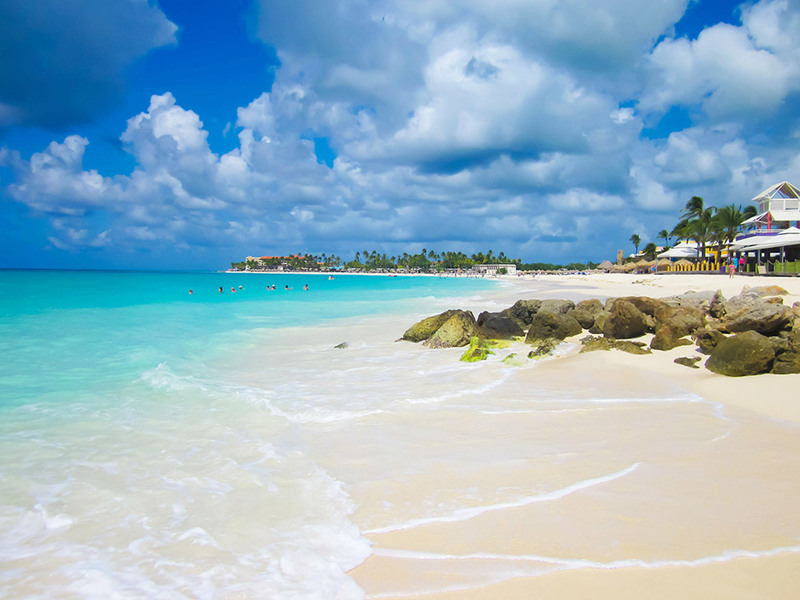 The Caribbeans Best website is the perfect place to find more information on the many beaches. If you happen to live in an area that experiences cold, wet winters, then an escape to a destination that is bathed in sunshine and warmth can seem pretty incredible. The Caribbean boasts year-round temperatures that range from 70◦F to 86◦F, making it perfect for being outdoors. As far as the best time to visit, experts recommend visiting between December and April, as that is when the weather is the best. It’s not too hot, humid, or rainy during those months. Because the Caribbean Islands are located within relative close proximity to one another, it’s a great place if you want to be able to visit various spots in one tour. Caribbean cruises are incredibly popular and are a great way to get a taste of what the various islands have to offer. It may help you narrow down the island(s) you want to spend more time in the future. If you’ve never been to the Caribbean before, then you may be under the impression that the islands are all alike. This couldn’t be further from the truth. Each one has its own background, history, culture, landmarks, and influences. This is evident in the food, language, and architecture of the island. For those who enjoy active vacations, the Caribbean also has you covered. You can engage in water sports and land activities such as golfing, hiking, biking, nature viewing, horseback riding, ATV adventures, and plenty more. The Caribbean allows you to be as active as you want. So if you’ve been on the fence about whether or not the Caribbean is for you, why not go ahead and jump right in and book that vacation as the islands won’t disappoint.